In this article I will cover how to add an Amazon Affiliate link to your website. These are often referred to as the “money links” simply because if a visitor clicks on one of your “special links” and makes a purchase at Amazon, then you will get paid a commission. Therfore adding these links properly is clearly one of the most important things that you can do. Where Do I Put Affiliate Links? Personally I never add any type of affiliate link on my information pages and place them only on my product review pages. I do however internally link almost all of my information pages to the appropriate product reviews. The reason I do this is that some visitors just want to read information without being distracted. By having a lot of links, and especially affiliate links, it can get very irritating for a visitor and even result in them never returning to your website. I have also found that the search engines do not like websites with affiliate links on every page. It is much better to have a nice mix of articles and keep your affiliate links limited to product reviews. You can add an affiliate link to any piece of content and as the website owner you should make the decision where you want to place them. Let’s begin by understanding what type of links are available from the Associate’s Programme as that will help you decide which of those you want to use. I have always found that simple text links (product links) are the best way of including an Affiliate link. This is where you add a piece of text to an article and make that a clickable link. 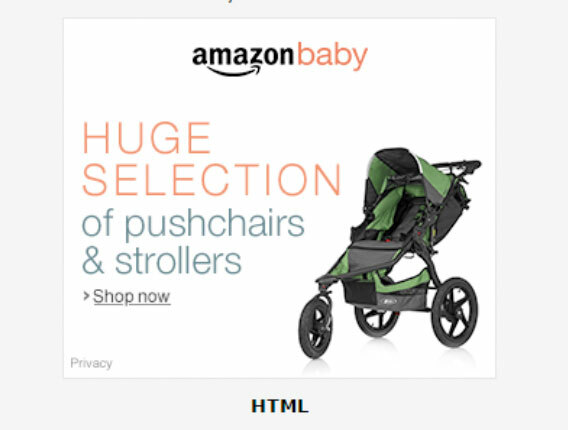 This text could be something like…Buy at Amazon UK…you would then hyperlink that to the actual product page with your special unique affiliate code. These work very well and you are telling the visitor that they will be going to Amazon. This is where you can get some code from Amazon Associates and include that code in an article on your website. You can also add it as a widget on your sidebar or in the header and footer areas of your website. These work really well in my opinion for special promotions or for special days like Valentine’s Day, Christmas or Black Friday events. It then displays as a banner and it has your link built into it. If people click on that banner then they go to Amazon. If they make a purchase then you will be paid a commission. These banners come in different pixel sizes. The above image is an example. Underneath you find a code and you simply add this code to your website to include the banner type you prefer. There is a different code for each type of banner. These can be useful if you are writing about a range of products and you want to include a link to the Amazon website where all of these are listed on a single page. So for example if you were writing about Vegan cookery books and you wanted to tell visitors that there is a nice range of these books available on the Kindle Store. You can create a link easily to do that from what is called the “Associates Site Stripe.” When you visit a page of products on Amazon and login using your Amazon Associate’s account, a stripe appears at the top of the page. You then just click on the “Short Link to This Page” and you get your code there. All you do now is highlight the text in your article where you want to create the link, click on the link button in the WordPress Text editor and paste in your new affiliate link. Make sure to open that in a new window. When you have finished editing and published an article then always check that your link goes to Amazon and that it contains your affiliate ID, otherwise you will not get paid. It really does depend a lot on the topic of the website that you have created. For most websites text links will work very well. On a product review article I would have a text link, or a button style link close to the top of the page and usually after the introduction. This one works well if visitors do not want to read a full review. I normally add one close to the bottom of the page. That is a good place to have a link for those visitors who have taken the time to read your review. For me banner links do not work that well unless they are promotional in style. If I had a website about gifts for women, then displaying a Valentine promotion banner in the right hand sidebar, showing a selection of gifts over at Amazon, would be a very good idea. In my experience I have found that I get most of my click through from text links where visitors have taken the time to read my review. The bottom line though is to experiment with your website and see what works best. Avoid covering your website with banners and links though as visitors do not like being over sold to. Now is the time to go to your product review pages and add 2-3 affiliate links to each article. I would recommend doing that at a rate of one article per day until you get them all done. Then as you add a product review article include your affiliate links right at the beginning. If you want a site wide banner then add something like a footer banner or a sidebar banner. Also keep your eye out for special promotion banners that Amazon will put in the Affiliate dashboard. If they suit your topic then include those. It’s easy and free to join. Sign up to the programme and create your first affiliate link today! Part 02: What is a blog and what does a blogger do? Part 08: Where Can I Get Pictures & Videos For My Blog? As part of our ongoing effort to provide better education content we would like your feedback. To become an Amazon Affiliate you will need to complete the sign up form. You will be asked to provide basic contact details and your website details. The Amazon Associates customer service team will review your application and shortly be in touch with you to confirm your admission into the Amazon Associates Programme. Once you have signed up, you will receive your Associate ID ending with “-21”. You must keep your Associate ID safe as it will allow you to track your links. As soon as you receive your Associate ID and your application is approved, you can start tracking your links to Amazon and earning advertising fees. And that’s it: you are now an affiliate of Amazon! Already an Amazon Associate? Please use your existing login to sign in and get access to your account.